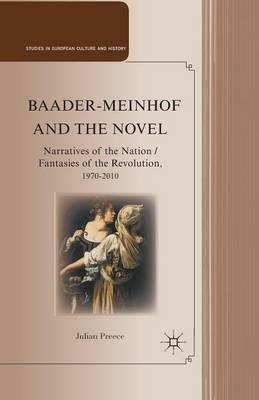 The Baader-Meinhof Group and other violent underground organizations have provided material to many novels by leading German and international writers. This book is the first to examine this rich literary corpus, treating it as a political unconscious which expresses submerged anxieties and moral blind-spots in Europe's most powerful country. Illustrations note XXVI, 214 p.
JULIAN PREECE is a Professor of German Studies at Swansea University and Director of its Research Centre into Contemporary German Culture. He is the author (with Waldemar Lotnik) of Nine Lives: Ethnic Conflict in the Polish-Ukrainian Borderlands (1999), The Life and Work of Gunter Grass: Literature, History, Politics (2001), and Out of the Shadows of a Husband: The Rediscovered Writings of Veza Canetti (2007).